Puli Kaichal is a tamarind chutney or preserve made with lots of tamarind, dal and spices. 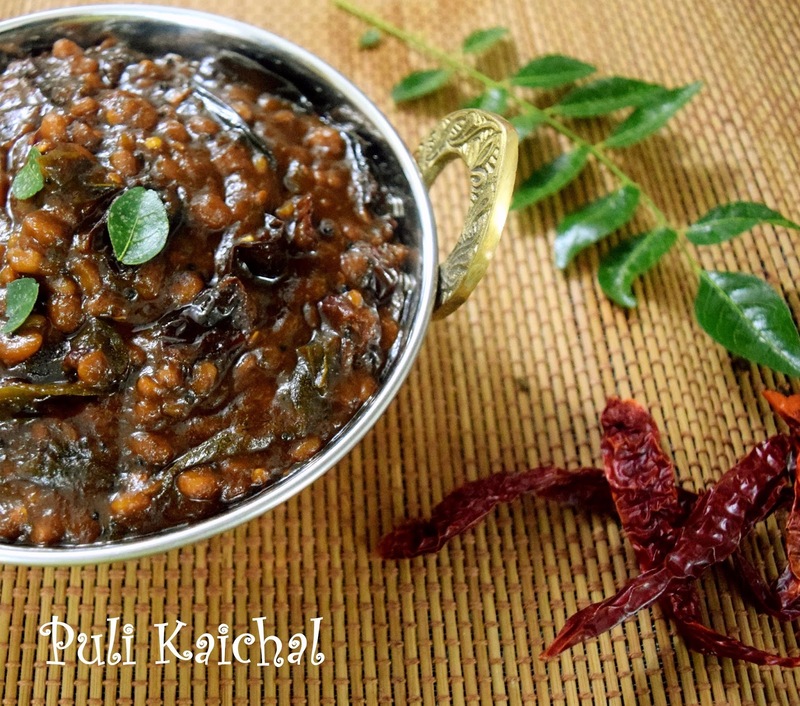 There are several recipes for Puli Kaichal and this is the way it is made by Iyengars from Tanjore district. 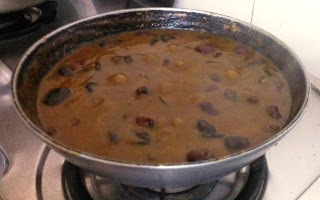 It is mixed with rice and packed for lunch boxes and during long travel as the oil content and tamarind preserves the dish. 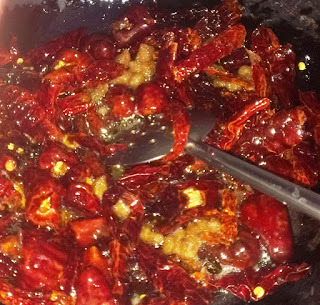 You can prepare this in large quantities and store in the refrigerator for up to 2 months. 1. Heat oil and add mustard seeds. 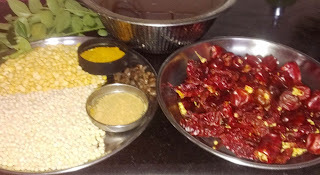 Add red chillies, chana dal and urad dal when the mustard seeds start spluttering. 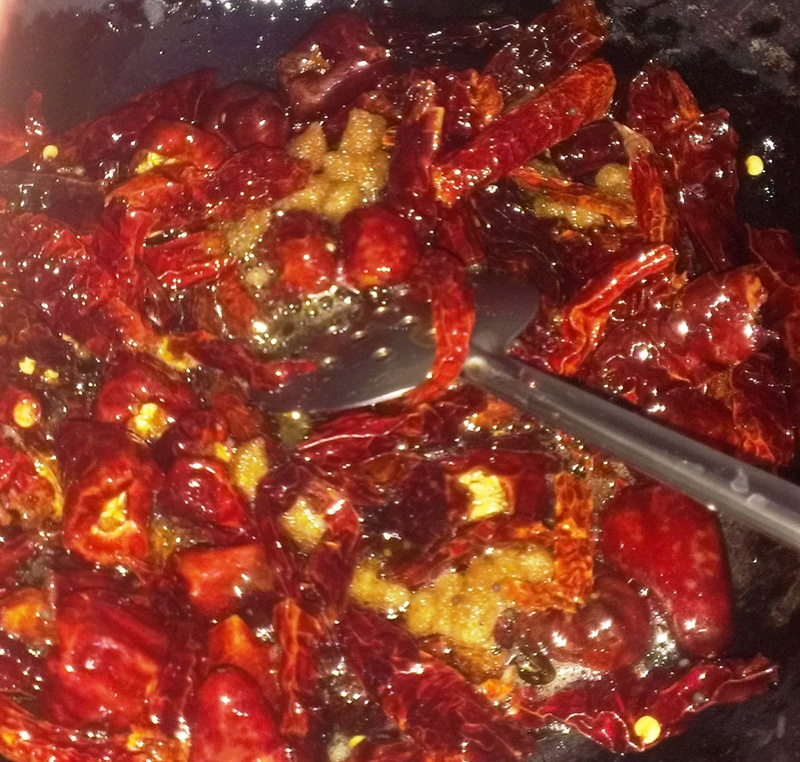 Fry till the dals start to brown. 2. Add hing, turmeric powder and curry leaves. Once the hing dissolves, add tamarind paste and boil over high flame. 3. 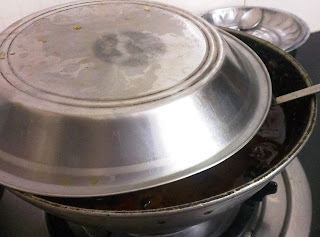 Once it boils, simmer till it reduces to half the quantity. Keep it covered as shown below, so that it doesn't splutter. Add fenugreek seeds powder towards the end. 4. 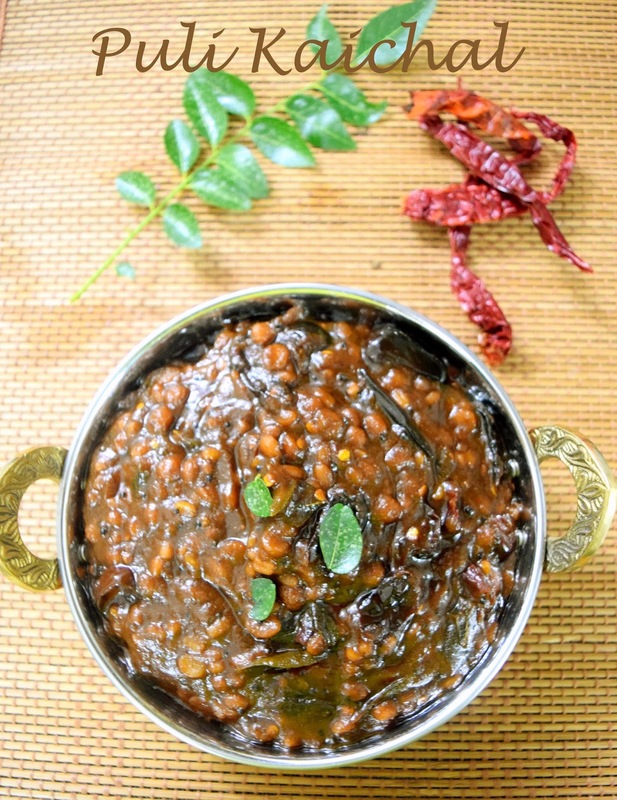 To make tamarind rice (puliodharai), take one or two tablespoons of this preserve and mix it with one cup of rice and add tadka (seasoning) with 1 teaspoon each mustard seeds, urad dal, channa dal, a few curry leaves and a tablespoon of peanuts.